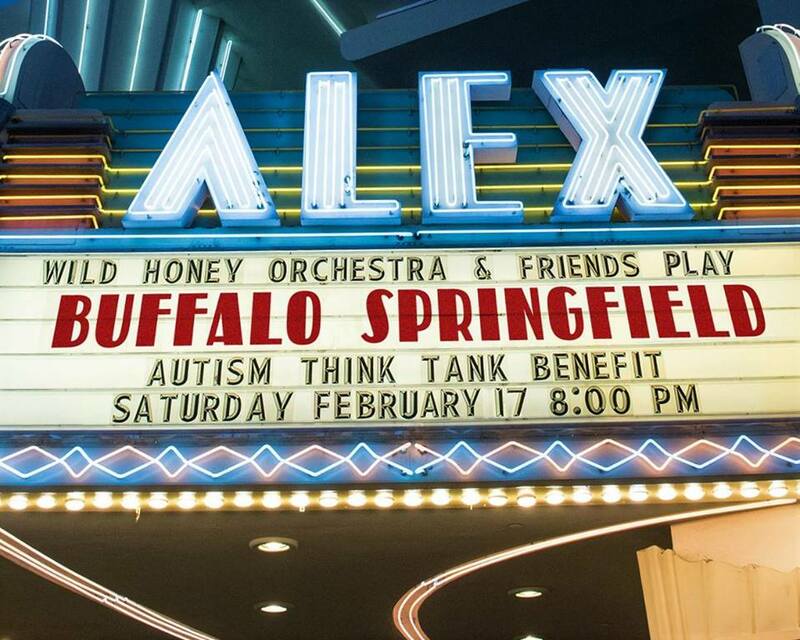 It’s the event of the season: The all-star Wild Honey Orchestra & Friends will play the music of pioneering folk-country-rock band Buffalo Springfield in a benefit for the Autism Think Tank at the Alex Theatre in Glendale on Saturday, February 17. The concert will also feature special guest Richie Furay, who co-founded the influential folk/country/psychedelic band that also featured Stephen Stills, Neil Young, Bruce Palmer, Dewey Martin, and later Jim Messina from 1966-1968. The band was inducted into the Rock ‘n’ Roll Hall of Fame in 1997. Additional special guest artists (as of Feb. 8) include Micky Dolenz (The Monkees), Terry Reid, Susan Cowsill (The Cowsills), Carlene Carter, Elliot Eaton (The Cars), Martha Davis (The Motels), The Dream Syndicate, Brent Rademaker (Gospelbeach/Beachwood Sparks), The Three O’Clock, Gary Myrick, Stephen McCarthy & Greg Sowders (Long Ryders), Syd Straw, Darian Sahanaja, Claudia Linnear (“20 Feet from Stardom”), Cindy Lee Berryhill, Joss Cope, Iain Matthews (Fairport Convention), Steve Stanley, Carla Olson, Chris Price, Nick Guzman, Bebopalula, All Day Sucker, and The Cott Sisters (Corinna and Isabelle). Backing them will be members of the Wild Honey Orchestra, an aggregation of top session musicians and singers led by acclaimed musical director Rob Laufer (George Martin’s Hollywood Bowl tribute to “Sgt. Pepper”). The Orchestra lineup includes Jim Laspesa, Derrick Anderson, Willie Aron, Jordan Summers, Nick Vincent, Andrew Sandoval, Kaitlin Wolfberg, Tara Austin, Lyn Bertles, Probyn Gregory, Nelson Bragg, Randell Kirsch, David Goodstein, Neil Rosegarden and more. Most of the players are lifelong Springfield fans, and range in age from first-generation fans in their 60s and 70s to their kids and grandkids in their 20s. 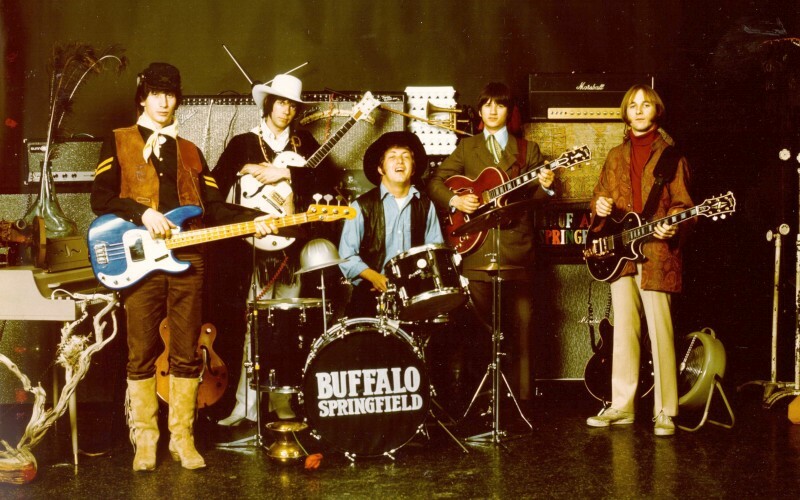 The ensemble will perform more than 30 songs, including all tracks from the band’s three seminal LPs (“Buffalo Springfield,” 1967; “Buffalo Springfield…Again,” 1968; “Last Time Around,” 1968) plus bonus songs from Atco’s 2001 retrospective box set. Noted Los Angeles music journalist and author Chris Morris will return to host this year’s Wild Honey concert as he did last year. First Time Around: Jim Messina, Neil Young, Dewey Martin, Richie Furay and Stephen Stills. 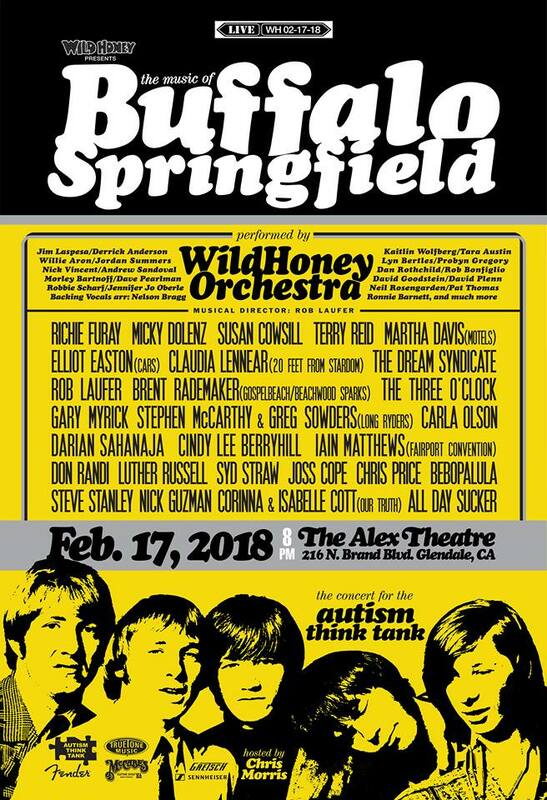 Proceeds from the “Wild Honey Orchestra & Friends Play Buffalo Springfield” concert will go to the Autism Think Tank (autismthinktanknj.com), a non-profit organization that brings together teams of top medical and autism specialists via internet conference. The team tackles the painful medical/psychological issues faced by kids like Rock’s 14-year-old son Jake, a non-verbal autistic boy with extreme digestive distress and self-injury issues. Tickets for the February 17 concert are going fast – get ’em here. And keep up with the latest developments leading up to the show here. Paul Rock co-founded The Wild Honey Foundation as a 501(c)(3) charitable non-profit organization. Its mission is to produce events that celebrate and keep alive the passion, creativity, and idealism of the musical giants of the late 20th century. Wild Honey events bring together the global artistic community to raise funds for a variety of charitable causes, especially autism treatment/research, while also assisting ailing musicians in financial need. Rock’s Wild Honey events have raised more than $100,000 for the Autism Think Tank over the past four years, and delighted thousands of fans with a rare opportunity to hear the music of The Beatles, The Beach Boys and The Band played live onstage with loving authenticity. The Wild Honey Orchestra & Friends performed The Beatles’ “Rubber Soul” and “Sgt. Pepper’s Lonely Hearts Club Band” albums complete at the first benefit concert in February 2013. A year later, the troupe performed The Beatles’ “Revolver” and “Abbey Road,” then “The Beatles” aka “The White Album” in 2015. The 2016 concert featured Beach Boys classics from 1967-1977, and in 2017, the troupe celebrated the music of The Band, performing songs from the first two Band albums with special guests Garth Hudson, Jackson Browne, Carlene Carter & The Continental Drifters, Keith Allison and more. Just before the end of 2017, Paul and this writer spoke about the upcoming show, which, as another lifelong fan of Buffalo Springfield and the Poco-CSN-Byrds-Burritos-Hot Band-Dillards-Manassas-SHF-Desert Rose Band continuum, and a more recent fan of the Wild Honey musical community and cause, I can hardly wait to witness. 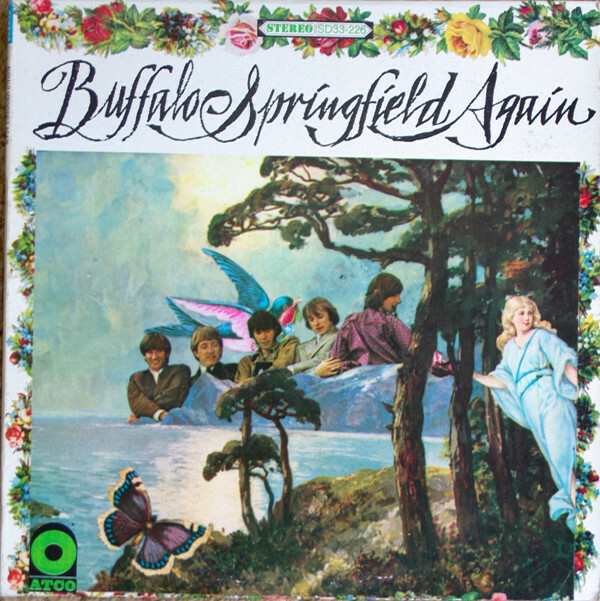 Stephen: How did you decide on an evening of Buffalo Springfield classics for this year’s Wild Honey show? Paul: It’s always a process. It has to be something the band and I are excited about, of course. And I was thinking about something that would easily bridge musically from The Band, not be a complete shift of genre, to keep it in the same zone. I figured maybe we could build on the momentum we got from having some of those people play. 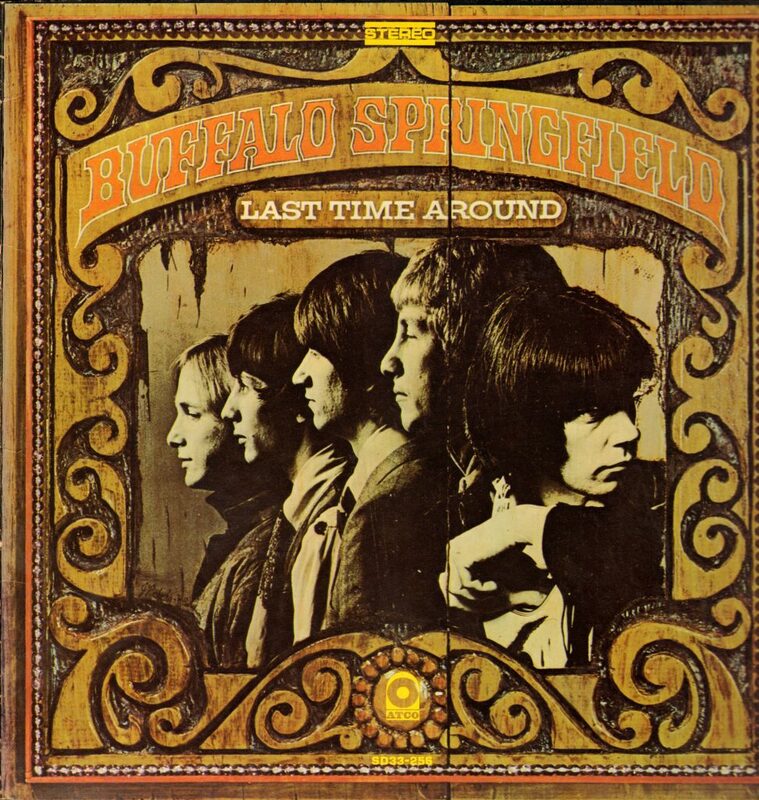 Also, I liked the idea of Buffalo Springfield’s limited repertoire. There’s only around 35 songs on the three records, and then there are other bonus things on the box set. But I like the idea of covering a band completely in a show and not leaving a lot of stuff untouched. 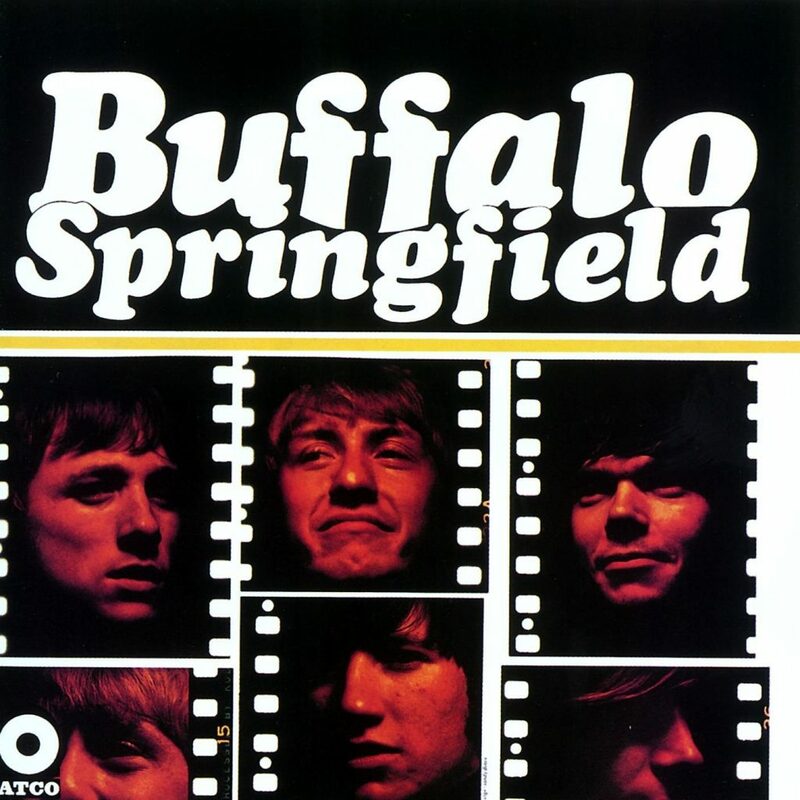 With Buffalo Springfield, we can do that. Stephen: It’s a marathon for the players, but even more so for the audience. Paul: Oh, yeah. We’ve never gone as long as we did with The Band show mainly because of the unpredictability of the Garth (Hudson) experience. We had a three-hour show, and then all of a sudden, when he came on board, we added another 45 minutes. I’m pretty conscious of the three-hour mark because that’s when people in the audience start to fade, I think. So, I’m hoping that this one will be a little shorter just for that reason. But we’re going to probably still do 30 to 35 songs. Stephen: So, let’s get to the lineup. Buffalo Springfield co-founder Richie Furay is IN! Paul: Yeah, that’s very exciting. Richie’s appearance will bring the show to the level we hoped…we always hope a principal person from the original member would do this concert for us, as Garth did last year. Stephen: How did you line Richie up? It was shockingly easy. He was excited about doing the show, about the cause and everything else. So he signed on right away. He’s actually been promoting the show a little bit. Richie has a lot of material, so you can expect more. He still sings like a bird. Fans will be getting their money’s worth from Richie, for sure. We’ve sold more than half of the tickets so far, and haven’t even announced the guest performer lineup yet beyond Richie. So, yeah, I’m excited. Stephen: So when will you officially announce the complete lineup? Paul: Very soon – I want to add a couple more names. We’ve reached out to the other principals and we’re hoping for the best. Stephen: That would be Stills, Young and Messina – Dewey and Palmer are no longer with us. I hear you did hear back from Messina. Paul: He’s a no…he’s got a gig two days later, so apparently that’s too stressful for him. And we’re waiting to hear back from a couple more major names. Stephen: Yeah, the Jack Nitzsche arrangements. Paul: Yes, the Jack part will be well represented. It’ll be very cool. That’s the most exciting part for me because I think it’ll be a bit of a show-stopper. Stephen: Springfield didn’t perform those songs live with strings back then, so to hear their studio productions re-created onstage will be very cool. Paul: I will be looking forward to getting good recordings of those songs especially. Stephen: Speaking of recordings…how can people see past Wild Honey shows? Paul: The last three shows are up on my YouTube channel. And these are not audience recordings. These are multi-track, mixed. I think we do 32-track. So the sound is really good. The visuals…the theater doesn’t want us to do a real film shoot. And technically it’s not really possible given just our show’s staging logistics. We’d have to film an entire additional day. Chris Davey did a really good mix of the audio, then we (sync) that to whatever video we shoot. Last year, The Band concert was two cameras. It looks pretty good. We’ll be doing the same thing this year. Stephen: Any other news from the Wild Honey Foundation that’s pertinent right now? Paul: After the Buffalo Springfield show at the Alex, we’re going to be branching out more with the backyard shows. I hope to present at least as many monthly film screenings this year as monthly music shows. We’ve got a screen, a projector, our new PA, so we’ve got the whole thing ready. Stephen: So how’s your son doing? Paul: Oh, Jake is doing all right. He’s got a good teacher and aide this year. That’s really helping him do much better. So, yeah, we’re doing all right with that this year. In general, we’re at a pretty good place right now. Santa Clarita journalist Stephen K. Peeples was raised by newspaper journalists in Miami and Los Angeles. His first music industry gig was as an associate editor at Cash Box magazine in 1975. He was the original, award-winning producer of “The Lost Lennon Tapes” radio series for Westwood One from 1988-1990. He is also a Grammy-nominated record producer (“Monterey International Pop Festival” box, Rhino/MIPF, 1992). He was a record company Media Relations-PR executive for Capitol Records (1977-1980), Elektra/Asylum Records (1980-1983) and Rhino Entertainment (1992-1998). He was Rhino’s first web editor (1996-1998), then elevated to content editor of Warner Music Group websites (1998-2001). In California’s Santa Clarita Valley, Peeples was the award-winning Online Editor for The Signal newspaper’s website from 2007-2011, and wrote-hosted-co-produced SCVTV’s WAVE-nominated “House Blend” local music show from 2010-2015 (still airing in reruns). He is now VP/New Media Emeritus for Rare Cool Stuff Unltd. and CEO of Pet Me Happy Treats. For more stories and info, visit http://www.stephenkpeeples.com/. For exclusive behind-the-scenes interviews, subscribe to his YouTube channel.